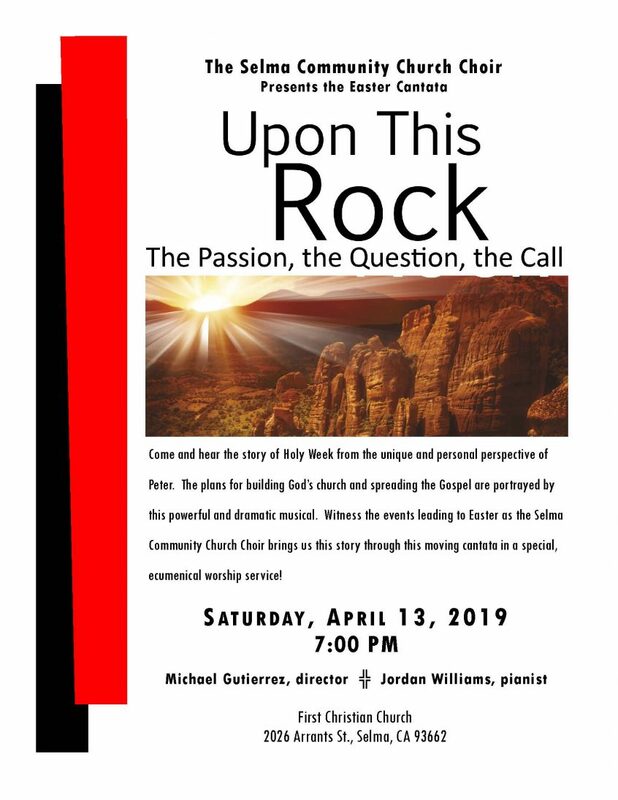 Events Selma Community Church Choir: Easter Cantata "Upon This Rock"
Hear the Easter story, beginning at Holy Week, as told from the unique and personal perspective of the Apostle Paul. Witness the events leading to Easter as portrayed by powerful and dramatic music. Come and see the Selma Community Church Choir bring us the Story through this moving cantata.